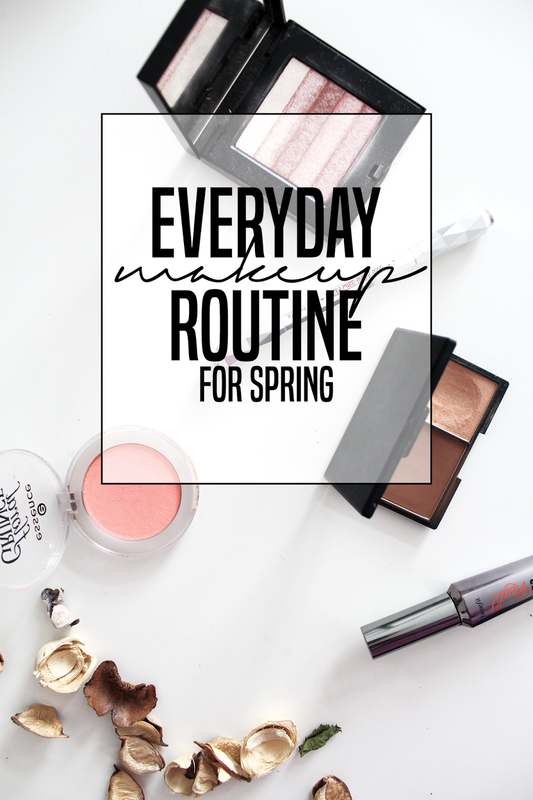 EVERYDAY MAKE UP ROUTINE FOR SPRING | RAWR BOWS. As per usual, spring is always late in London but that has never stopped me from pretending it is spring and freezing in my bomber jacket because I refuse to wear coats. It's not a bright move, I know. Anyway, I like to go a bit more au naturel and light in the make up department. Many days I skip foundation altogether as my skin isn't ridiculously bad and I'm trying to reduce my pores. If I decide to wear a bit of foundation though, I always go for my MAC Pro Long Wear foundation as it has a very natural finish and it stays on the whole day. For brows I use Benefit's Goof Proof. This is what makes all the difference for me, filling in my eyebrows honestly changes my whole face and makes me look more awake and put together. For my eyes I go ver simple and only use Benefit's They'Re Real Mascara to open up my very sleepy eyes. Finally, I use Sleek's bronzer from this bronzer/highlighter duo in Medium 885 to define my face and Bobbi Brown's Shimmer Brick Compact in Pink on my cheekbones and under my brows - I only use a tiny bit of highlighter as I don't want it to be too bright and dramatic. 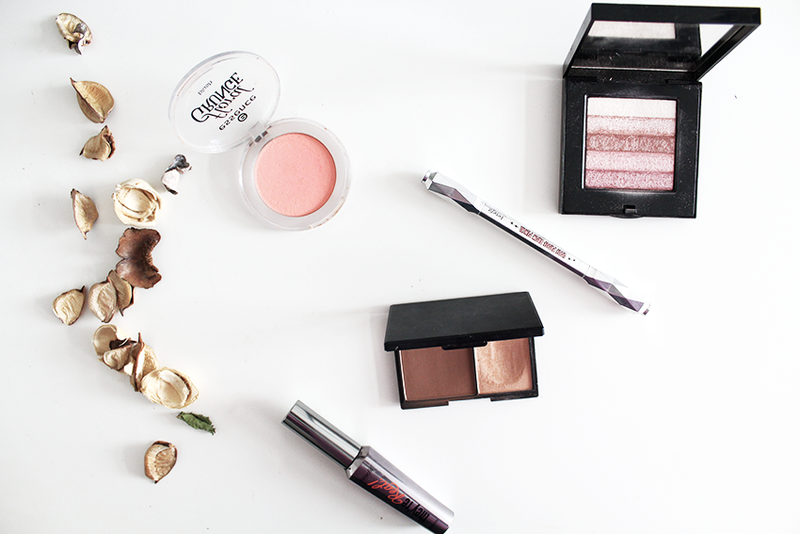 Finally, I use Essence's blush in Be Flowerful to add a pop of colour to my face. I have had this blush for literally forever, probably about 5 years so I probably should get a new one because I'm not a big fan of germs. It looks less bright on skin than it does in the packaging, and it actually is quite a nice shade for spring. I rarely use a lipstick for every day wear, I just apply some lip balm (because my lips are D Y I N G) - my favourite is Vaseline Rosy Lips. This whole routine takes me about 10 min, which means that I don't need to wake up ridiculously early. What's your every day make up routine?